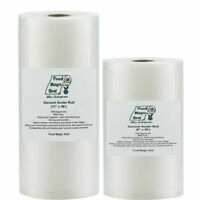 Food Magic Seal 2-8"x50' Rolls 4 Mil for Vacuum Sealer Food Storage! Fast Ship!! 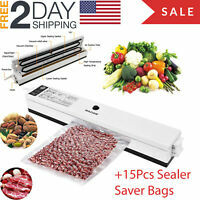 4-8"x50' Rolls Food Magic Seal 4 Mil Vacuum Sealer Foodsaver Storage Bags! 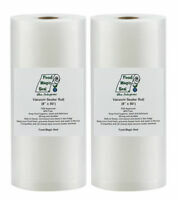 Food Magic Seal 11"x 50' Rolls 4 Mil for Vacuum Sealer Food Storage Bags! Sales tax may apply when shipping to: AL(9.11%), AK(1.86%), AZ(8.35%), AR(9.2%), CA(8.45%), CO(7.752%), CT(6.83%), FL(7.8%), GA(7.65%), HI(4.35%), ID(6.93%), IL(8.64%), IN(7.68%), IA*, KS(8.52%), KY(6.7%), LA(9.98%), ME(5.5%), MD(6.75%), MA(7.25%), MI(6.0%), MN*, MS(7.87%), MO(7.98%), NE(7.423%), NV(7.98%), NJ(6.85%), NM(7.55%), NY(8.49%), NC(6.9%), ND(6.78%), OH(7.54%), OK(8.86%), PA(6.34%), RI(7.0%), SC(7.52%), SD(6.39%), TN(9.46%), TX(8.29%), UT(6.86%), VT(6.18%), VI(5.65%), WA*, WV(6.29%), WI(5.42%), WY(5.4%).